The trip to China was a big success, says Prime Minister Voreqe Bainimarama. That success would mean more investors from China are likely to grace our shores. He told of tourism and business accommodation opportunities. “There is a shortage of accommodation in the country and this is one of the issues I highlighted while meeting with Chinese investors,” the Prime Minister said. He said the outcome of the meetings were also fruitful especially with the company of the Minister for Agriculture, Inia Seruiratu, and the Minister for Trade, Faiyaz Siddiq Koya. “We were able to talk to a lot of investors in Hong Kong, Beijing and whereever we went to. “We told investors that this was the best time to invest in Fiji. 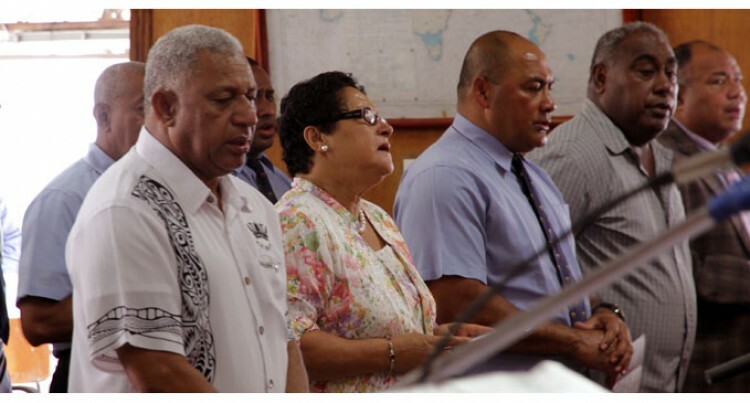 To come over,” Mr Bainimarama said. “We have a lot of spaces available for investment in the tourism industry and hotels. “There’s a shortage of accommodation in Fiji. Meanwhile, Mr Bainimarama leaves for Buca, Cakaudrove, today to open its new road. He also confirmed travelling to Savusavu and Taveuni as well to present grants for micro and small business entrepreneurs.